There’s NEVER been a better time to grow your personal brand in the BEST way possible. And the really good news is that you can do it for peanuts! I’ve got something a little bit special today and I’m going to call it the digital marketing episode. I’m always looking to produce the shows that most agents want and when I go back over my stats for each show, many of the most popular episodes look at how agents can leverage digital marketing to grow their brand and their business. Sean’s latest show is all about using technology to build and profit from a hyper-local community website. But before I press play on my interview with Sean, I want to bring in my producer for this show Joel Sharpton to dig a bit deeper into this important emerging opportunity. Joel: You know what’s weird, Ray? 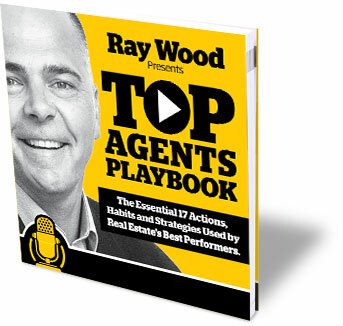 I’m listening to this latest episode of Top Agents Playbook, with Sean Jackson. And, I was excited about editing this one for you, because Sean’s HUGE. He’s been pushing and creating his own tools to help people succeed as digital entrepreneurs since ‘91. Now, you’ve been doing the digital business lifestyle longer than me, but even you weren’t online like that in 91, right? Sean was a founding member and today he’s the CFO of Rainmaker Digital, and I’m loving his Podcast. S9 much gold for ANYONE looking to get into this space. 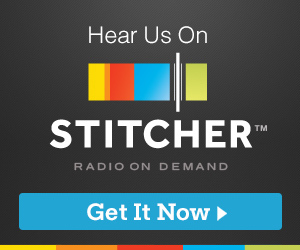 There’s also a show out of the rainmaker.fm stable about LinkedIn. I think it’s called The Missing Link. LinkedIn is something I’ve slept on for years and his show is really helping me catch up on that. The weird thing though, Ray, about this interview happening this week is what you and I have been planning and how in sync the two of them are. I’m so excited to share this with your listeners and agents and everything that Sean says in this interview just confirms that we’re on the right track, don’t you think? If you’ve been looking to start your own podcast, build a high traffic community attracting website and a Facebook page that attracts followers while you’re asleep, then make sure you hang around after this session with Sean. Joel: so, Ray. We teased your listeners at the beginning of the interview. Told them to stick around because we have something for them. Well, after an interview like that we’d better have something serious, because Sean brought thunder just like I knew he was going to. 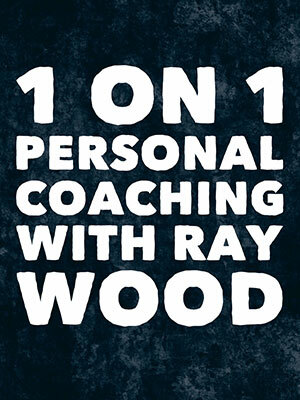 Joel: I knew the power of Podcasting for businesses or business owners even before I met you, Ray, but when you and I finally started working together the only question I had was why weren’t there more Podcasts from local real estate agents. There just weren’t that many. And even now almost two years later, there still seems like a hole in the market that every local agent in the world could rush in and own. Just completely dominate. Because, ray it’s not just about the listeners right? It’s about the connections you build with the mayor, the local chamber, the local authorities and business owners you could highlight and feature in your own show. It’s also about the authority and expertise you establish in your market by developing and growing your show and audience. So why aren’t more agents doing it, Ray? Joel: And that’s where top agents radio comes in. We’ve put together a team of designers and web developers, audio producers and then brought to bear our own experience and built a done-for-you service to launch your own podcast. We’ll build your site, integrate the podcast, distribute your show to Apple Podcasts and Google Play Music and Stitcher and anywhere else people listen to podcasts but, most importantly, we’re going to teach these agents how to podcast and even get them started.